We are looking for Senior Manager-Development & Commercialization for a leading Multinational Sportswear Retail Brand for Gurgaon. Mail your applications on reeku@netsyscon.net or call on 7738726142. Ensure Team and factories follow Company standard best Practice. Guide and develop the skills and eye for details of existing team. Improve the quality of Commercialization of factories. Ensure higher productivity of Production by establishing standardized processes. Improve teams’ and factories’ capabilities and streamline production process. Able to execute high-end running shoe and further strengthen current product aesthetics. Ensure trial production is on time and runs smoothly. 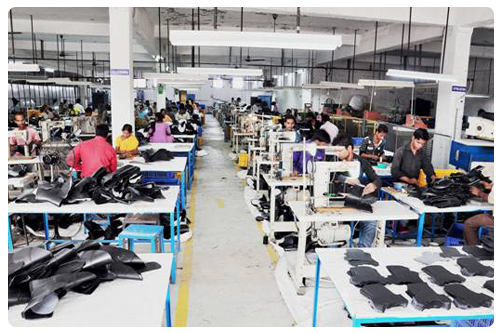 Establish best practices in Indian factories are as per other far east factories. Ensure fit wear and testing standards are fully followed. Develop new toolings as per requirement. Improving factory efficiency through product engineering. Strong Commercialization / Technical background with at least 10 years of experience . Must have worked with International / Far East factories. Capable of upgrading factories & India team with his knowledge towards high end product and more efficient techniques. Adaptive to different environments and a Team player capable to handle team within and external partners.